Nobody does Easter Eggs and comic book references like DC, and Justice League sets a new record. It's hard to make any superhero blockbuster these days without filling it to the brim with fan service, cameos, shared universe connections and comic references, but Zack Snyder's franchise has proven especially generous. Not only were there the Batman v Superman secrets, but a second wave when the BvS Ultimate Cut was released, too. For Justice League, the filmmakers took things a step further. To make sure that no DC or DCEU fan misses out on a single comic book reference or subtle detail, we're breaking them all down. From the comics that Zack Snyder painstakingly recreated on film, to the cameos from the original Superman movie, our guide is the only one you'll need. So with one final SPOILER warning, let's get started. Batman may have spent the time since Superman's death seeking out metahumans hiding on Earth, but it's the sudden appearance of Parademons that accelerates the formation of the League. That's not that surprising to fans of the New 52 version of DC's own Justice League, which followed a similar story in its own origin of the team. And the movie makes the connection more than a little clear. Not just by making Cyborg a founding member, or relying on his Apokoliptian tech to turn the tables on the villain. When Batman manages to snag a Parademon to get information on their leader and mission, the alien footsoldier goes to extreme measures to keep Steppenwolf's secrets. The self-destruct is to be expected of the swarming shock troopers, and was memorably showcased in the New 52 storyline at the same point. The Gotham City skyline visible in that opening 'Bruce Wayne vs. The Parademon' sequence is sure to offer up plenty of Easter Eggs as more and more fans see it, but at least one sign in the background should please fans of the Batman comics. Keep your eyes peeled as Batman breaks the Apokolips soldier to his will, and you just might spot a sign advertising 'Janus' - as in Janus Cosmetics, a well-known corporation in the DC Comics Universe. Not for the quality of its products (who are we to judge) but for the Sionis family who rules the corporate empire. Corporate and, when the son of the family, Roman took over control, criminal empire as well. Fans will know him better by the name he took up to lend him credit in Gotham's underworld. As 'Black Mask,' Roman Sionis became one of the most influential and erratic criminal kingpins in Gotham. Whether this sign if a nod to fans or a hint at the villain in future films is a secret only DC knows. Wonder Woman's arrival to thwart the bomb/hostage plot at a London court house was shown in Justice League marketing, perched atop a massive golden statue of Lady Justice. Not all that subtle, given her own role as a protector of "right" and pursuer of truth, and the "Justice" theme of the movie as a whole. But for those who know the real origins of the Scales of Justice-wielding warrior, there's more thematic layering and winking going on. For starters, that statue is actually the mythological Themis, a Titan of Greek mythology - the order of gods and goddesses that preceded the Olympian gods under Zeus. In other words, she's something of an Old God of Earth (which carries weight in the larger Apokolips fiction). As the embodiment of divine justice, Themis represents more than "Law," but a natural order. That sword of hers? It's not actually for war, but a representation of her ability to divide right from wrong - cruel from just. And that's the exact kind of pure heroism Wonder Woman was designed to have... even if she uses the sword for fighting, too. After Queen Hippolyta warns her daughter of Steppenwolf's attack (and a coming invasion), Diana returns to Bruce Wayne to fill him on just how far back this vendetta goes. That's the introduction given to the ancient battle scenes seen in most of Justice League marketing, when the forces of Apokolips, led by Steppenwolf, made their first attempt to turn Earth into a flaming cinder. The planet was saved thanks to an alliance of Humans, Amazons, and Atlanteans... who had some supernatural help in tipping the scales in their favor. Most notable among them being Zeus himself. At least that's what's implied by Diana, who claims that the Amazons were aided by gods - almost certainly the same Olympian gods and goddesses spoken of in the Wonder Woman solo movie. So when one such god can be seen towering over the everyday humans and Atlanteans waging war, unleashing lightning at Steppenwolf and his forces (as others attack him with melee weapons), Zeus is the logical choice. This was thousands of years before he fathered Diana, but it's a sign of the 'Age of Heroes' that reports say Zack Snyder intended to make even more pivotal to his Justice League story. It isn't just Zeus who gets in on the action - or even the vaguely Ares-esque warrior who leaps at Steppenwolf, axe in hand - but another goddess of Greek mythology. When the Justice League trailers featured the above shot of a glowing archer firing a burning bow strong enough to destroy one of Steppenwolf's troop carriers, it seemed more than your everyday Amazon. In action, it's clear the archer is a goddess... and in the world of classical mythology, there's really just one candidate: Artemis, Goddess of the Hunt. Known to the Romans by a different name: Diana. That's not to be confused with the version of Artemis seen in Wonder Woman played by boxing champ Ann Wolfe (it has also been the name of an Amazon in the comics). The Artemis of mythology was another daughter of Zeus, and according to the official credits, the role of the goddess was played by MMA fighter Aurore Lauzeral. DC fans faced what seems like years of rumors concerning the debut of Green Lantern - a Green Lantern, any Green Lantern - but in the end, Justice League leaves the superhero team one member short. No Hal Jordan, no John Stewart, not even a Guy Gardner or Kyle Rayner. But the movie does confirm that the intergalactic peacekeeping corps exists in the DC movie universe, not only with Steppenwolf observing that no such "Lanterns" now guard Earth (a line that stunned fans when used in a trailer). A Green Lantern does chip in to defeat Steppenwolf, but it's not one easily recognized... and one who dies moments after making their DCEU debut. The alien warrior is included in the massive assault of Earth's people, batting away waves of Parademons with its battering ram of emerald energy. It's hard to narrow down just what alien race bears the Green Lantern ring of Space Sector 2814 in this distant past, but Steppenwolf soon proves more powerful. As an added bonus for fans, the ring departing its fallen bearer and zipping off to find a new replacement is included, with Steppenwolf staring down the escaping ring with obvious disdain. The other heroes of the Justice League may rely on suits of armor to protect them, or in some cases, actually define their superhero identities - but not Arthur Curry, the Aquaman. That point is made perfectly clear the first time he removes his cold weather clothing, revealing the black tattoos which seem to cover most of his body. Given that Zack Snyder actually knew Jason Momoa would be his Aquaman for years, it should come as no surprise that those tattoos are anything but random. Sure, they look nice. But the fact that the pointed bands of tattoos on Arthur's forearms are based on Momoa's actual tattoo is just the beginning. The tattoos underwent some changes from the very first reveal of Momoa as Aquaman, along with the armor over top of them (initially shown covering only one full arm). Those triangles we mentioned actually represent shark teeth: a symbol of power, adaptability, and fierce strength in the Polynesian tradition tied to this take on Aquaman. The spearheads covering Arthur's shoulders signify courage, and battle strength, while the small wave details connect him to the ocean (a symbol of both life and death). Since his tattoos seem to perfectly match the Atlantean armor reserved for him as Atlantis's king, there's even more to these tattoos we hope to see explored in his solo film. Not every secret connection or universe-building storyline is visible on screen, but with Zack Snyder behind the three DC films leading up to and culminating in Justice League, there's room to expand. Especially with the cast now sharing the imagined crossovers Snyder already laid clues to. Take Man of Steel, and Clark Kent's efforts to save the crew of a flaming oil rig in the middle of the sea. The rig collapsed in a fiery explosion, but Clark survived (obviously). How he went from the middle of a crushed structure to floating in the open ocean near a mother whale and its child, however, is a mystery no longer. Jason Momoa revealed shortly before the launch of Justice League that Snyder had let him in on a secret only Arthur Curry would know. After years of an speculation, it was finally confirmed that Aquaman saved Superman in Man of Steel, presumably dragging him loose of the wreckage before Clark regained consciousness (and before Arthur realized he didn't need saving at all). So when Bruce first brings up the Kryptonian hero when recruiting Aquaman, he keeps the truth to himself: he met Superman long before Batman did. It doesn't take long for Bruce Wayne and Alfred to realize just how much the world has changed since the end of Batman v Superman, leading the latter to claim he doesn't recognize it at all. With alien invaders, ancient goddesses, speedsters, cybernetic athletes, and Atlantean royalty, he can't help but long for the simpler days. Specifically, the ones in which "exploding wind-up penguins" were the worst of Bruce Wayne's concerns. Aside from alluding to the existence of The Penguin in this version of Batman's rogues gallery, the line if a specific nod to Tim Burton's original Batman movies, and the explosive footsoldiers of Batman Returns. In that film the penguins rigged with explosive rockets weren't wind-up at all, but we suppose that's a bit more believable. After Batman v Superman found a small role for everyone’s favorite photojournalist, Jimmy Olsen – really small, killed off-screen before he was even named – the longtime fans of the Man of Steel will be happy to see the actor who made Jimmy Olsen a hero get his time in the spotlight. Actor Marc McClure had previously teased a Justice League movie cameo, and apparently, Mr. Olsen has turned in his press credentials for a badge in the DC movie universe, appearing as the prison guard speaking with Barry Allen when he goes to visit his incarcerated father. It's actually the second cameo for McClure, in a way, since he was previously revealed as one of the police officers at the Superman memorial in Metropolis. The shot of Cyborg leaping into the path of an oncoming car was used early on in Justice League marketing (one of the first actual glimpses of Ray Fisher's CG-ified form), but nobody knew that the police officer being saved was so integral to the Superman legacy. Apparently, once that sequence was cut during Joss Whedon's reshoots, the studio made sure to give him a cameo in one of the added scenes, as well. 20 A Hint of Gorilla Grodd? Barry Allen's career in the DC movies is only just beginning, but according to some of his first lines with Bruce Wayne, he may have met more of his future Rogues than fans would assume. And yes, his most outlandish nemesis has apparently been one of his very first. Shortly after Bruce surprises Barry in his own lair, the speedster begins to rattle off his unique skills and qualifications. Among them is not only the ability to speak Sign Language - but Gorilla Sign Language. Take that as a fairly obvious reference to the super-sentient ape Gorilla Grodd, a primate who used more than just his massive-- make that gigantic body to give The Flash a headache. For that, he relied upon his telepathic skills. Perhaps this suggestion that Barry Allen is working with, or at least communicating with gorillas is teasing an alternate origin for Grodd? Or for those fans who hope Barry is further along in his superheroics, evidence that he's already forged a friendship with Earth's more... peaceful primates. 19 The Flash Already Fought Captain Cold? If Gorilla Grodd is one of Barry's most iconic enemies, then there's really no more iconic rival than Leonard Snart a.k.a. Captain Cold. Fans of the comics know it, and now thanks to The CW TV show, casual consumers of superhero storytelling know it, too. So it just wouldn't be a fan service-filled debut of The Flash without mention - or at least suggestion - of the DC movie universe's own take on the sub zero supervillain. But to find it, fans will need to keep their eyes peeled on the displays lining Barry's workspace, not any of the dialogue being exchanged. We're referring to the screen focused on a schematic of Barry's suit, specifically the chest pieces (visible in the above to Barry's left). On closer inspection, it's a diagnostic of his suit that seems focused on a... unique quality: Cold Resistance. It's possible that such a term or feature of the suit could be explained away with any number of physics dilemmas a human speedster would encounter. But for fans, knowing Barry's taking pains to see how much cold his suit can take needs only one explanation. After years of waiting, Justice League finally adds Cyborg to the superhero mix: too long for some, considering how pivotal a character he's been in both animated and comic book incarnations of the team. Not only does Victor Stone's introduction satisfy the fans of DC's modern League, but puts to rest the lingering mystery of the extensive football scenes shot by Zack Snyder for Batman v Superman. It was assumed during production that the game existed to give Victor Stone - the athlete, not the superhero - his DCEU debut. But when the theatrical cut of BvS failed to include a football game at all (only making mention of one) fans were flummoxed. In the Ultimate Cut, the game between Gotham City University and Metropolis State appeared in a scene, but again, no mention of Victor Stone. Unfortunately, Justice League still doesn't include the footage of Victor in action (despite using the slow motion shots in trailers). But as an extra bonus for fans, Ray Fisher has confirmed that Zack Snyder planted a sly crossover in BvS for his character - specifically, his absence. That football game being watched by the two cops in the Ultimate Cut? The one where Metropolis State trounces GCU? The reason Gotham is losing so badly is because their star quarterback is missing - since it's the exact time period of Victor's accident. Fans don't get a Stone highlight reel, but his absence speaks volumes. The news that actor J.K. Simmons had left behind his Marvel role of J. Jonah Jameson for Commissioner Jim Gordon rocked comic fans, with both Marvel and DC faithful praising him as a 'perfect' choice for either role. Since Simmons winds up looking almost exactly like comic depictions of Gordon, it's a bit disappointing that Justice League only includes him in a few scenes. The meet-up with the superheroes was shown in several trailers and TV spots, but his actual introduction (and first defense of Batman against skeptics) comes a bit earlier. While walking the floor of his police precinct, Jim is approached by one of his detectives handling the kidnappings and strange alien sightings plaguing Metropolis. The detective in question is actually Crispus Allen, played by actor Kobna Holdbrook-Smith. Allen has been a regular in Gotham City comic stories for years, acting as a pivotal figure in the Gotham Central series. Here's hoping he'll return in the future. Audience members can be forgiven for training their eyes on the Bat-Signal when it shines into the Gotham sky, since Barry Allen beats everyone to it (and that's... kind of the point of the signal to begin with). But for the fans in the crowd or simply those with wandering eyes, another great Easter Egg can be found in the form of a neon sign illuminates against the night. The company is ACE Chemicals, one of the most infamous manufacturers and handlers of toxic chemicals in the comic book universe. For starters, ACE Chemicals is held as the canonical location where The Joker was born into his pale-skinned, green-haired, fractured-mind-ed murderer form (from whatever he was before). It's also another bit of world-building for the DC movie universe, since director David Ayer adapted the story to screen in Suicide Squad. That movie made it the birthplace of both Joker AND Harley Quinn, and even as the Justice League begins to take shape, it's a Gotham landmark that's hard to ever miss. Since the cast of Justice League is apparently throwing out Easter Eggs that were dropped in previous DC movies from Zack Snyder, it only seems fair that we revisit them as well. In fact, there's good chance that the DC fandom will be watching their way through Man of Steel, BvS, and Wonder Woman in anticipation of their big screen team-up. But how many will catch what may be the strangest, total-coincidence-or-brilliant-tease detail Snyder inserted into Dawn of Justice. It can be found during Bruce Wayne's prologue sequence, when he watches his world come crumbling down, staring into the sky at the Superman who will soon define his entire life of crimefighting. The Easter Egg isn't Bruce, or even the little girl he saves and embraces... it's the fallen sign that once marked Wayne Financial, the branch of Bruce's company now reduced to rubble along with many of the people who worked for him. It also happens to be the exact shape of the logo for Justice League, quite literally built out of those same ashes, from a character perspective. The three vertical bars even mirror the font for the 'JL' badge, which means it's hard to swallow this as sheer coincidence. If Zack Snyder did one thing right with his Batman in Dawn of Justice, it was the efforts made to recreate the Dark Knight as he appears in the comics. His silhouette, poses, generous amounts of lightning, and the Batsuit itself all hew closer to the source material artwork than any previous version. So when the shot of Batman standing on a skeletal gargoyle was seen in trailers, fans were unfazed. The gargoyle fits the style of Gotham City perfectly, and the movie Batman is as natural whole perched upon it as his comic book counterpart. But it's no ordinary gargoyle. The shot is a recreation of the cover art for Detective Comics #682, as illustrated by artist Graham Nolan. The issue itself has little overlap with the movie's story (focused on the villain KGBeast who was given tribute in BvS), but the Grim Reaper gargoyle is unforgettable enough to please the diehard fans who will spot the homage immediately. 13 Batman's Original Theme - Did You Catch It? It came as sad news for many fans of Hans Zimmer and Junkie XL's work on Man of Steel and Batman v Superman when it was announced they had been replaced. With Joss Whedon taking over for Snyder on the film's reshoots and post-production, composer Danny Elfman would also be used to provide the movie's score instead of Junkie XL. That meant an obvious shift towards the more orchestral, bombastic music that defined the original Batman (1989) - but that transition turns out to be far more literal than some may have expected. When Elfman promised Batman's theme music would return, he wasn't kidding. Fans can debate whether the energetic, melodramatic theme used for Tim Burton and Michael Keaton's version of Batman is a fit for Ben Affleck's version. But no matter their opinion, they can listen for it throughout the film, most notable when Batman makes his gargoyle entrance atop the Gotham police station where the League meets Jim Gordon. The cut down from Snyder's reported three-hour cut of Justice League to Whedon's studio-mandated two hours may have wound up hurting the villain most of all. Steppenwolf is known to DC fans as the chief lieutenant of Darkseid, and the leader of his Parademon army, but the movie grants him a new backstory. Apparently exiled from Apokolips after being defeated on Earth, his connection to the alien world is tenuous at best (and mostly absent from the finished cut of the movie). Still, there are some references and lines of dialogue that will only make sense if viewers do some digging into DC Comics lore. Jack Kirby's work in creating his Fourth World, in particular. Steppenwolf notes that Diana has the "blood of the Old Gods" in her veins, confirming the nature of Earth's ancient deities in the cosmic hierarchy. Steppenwolf also suggests that when he achieves victory ("for Darkseid," as he puts it, with the only allusion to the lord of Apokolips in the movie) he will finally join the order of New Gods. Expect these vague teases of Apokolips and New Genesis to be followed up on in future DC films. 11 Superman's Original Theme - Did You Catch It? When Hans Zimmer and Zack Snyder chose to start fresh with their take on the Man of Steel, it meant leaving the original John Williams score from Superman (1978) in the past with Richard Donner and Christopher Reeve's version. Relying on drums and piano to form the basis of the Man of Steel's own "theme," the results were impressive, if not as iconic to some. But with Danny Elfman taking over with Joss Whedon, it seems that a return to the past wasn't just warranted to Ben Affleck's Batman, but Henry Cavill's Superman, too. Fans can listen for Superman's classic movie theme in Justice League throughout the second half of the movie, but the best use comes when Elfman applies a darker twist. When Superman returns to life in a rage, he turns his own memorial into a warzone. It's then that the classic arrangement of Superman's movie them can be heard, with the final notes taking a turn to the sinister to reflect the action. When Zack Snyder adapted Superman's comic book death to film in Batman v Superman, fans knew he would pull a similar homage with the hero's resurrection, too. But it isn't just the comics being paid homage when the real, peaceful Clark returns to life. It's the previous live action depictions of Superman, thanks to his shirt. When the trailers showed Barry Allen sporting a black and red plaid coat, fans took it as a nod to Clark Kent's signature shirt from Superman: The Movie. It's the same trend that Smallville adopted, making red plaid their go-to homage for a pre-Superman Clark. When Zack Snyder's own version finally becomes the hero he was destined to become, no other shirt will do. Even before Elfman was brought on board to reshape the sound of Snyder's DC Universe, the director was paying homage and tribute to the Batman stories of the past. And in that arena, Tim Burton's original films loom large. Considering how many standards Batman (1989) set for a live action Dark Knight, fans could point out countless details or movie moments that channel Burton and Keaton in one way or another, but the marketing for Justice League revealed that it was Cyborg who actually got one of the subtlest, most poetic homages of all. The image of Burton's Batwing is unforgettable for fans: climbing towards the sky until it breaks through the clouds permanently over Gotham, rising directly over the full moon, and perfectly creating the Batman logo before dropping back down to the city streets. Justice League stops short of recreating the shot exactly, but the image of Cyborg breaking through similar clouds to a similar full moon in trailers filled the Burton fans with glee. Here's hoping the actual movie did, too. Less of an Easter Egg here, but more of a moment that no fan of DC Films or of Zack Snyder's trilogy will want to miss. The story of his Batman began in Dawn of Justice, when the murder of Thomas and Martha Wayne began Bruce's descent into total darkness (his dream actually opens the film, referring to a rise into light through bats as a lie, suggesting the opposite). In that opening scene, the death of the Waynes is ended with the slow-motion bouncing of a shell casing fired from the gunman's weapon - an image that comes to mean much more by the film's end. The bullet dropping marks the moment when Bruce's descent begins, but it's the identical dropping of a cannon shell that marks the beginning of his ascent back into light. That comes during the State funeral for Superman at the close of BvS, in which Bruce acknowledges that his mission is to honor Superman's sacrifice, uniting the League for a then-unknown threat. In the heat of the film's third act battle, as Bruce pilots his Batmobile through the carnage - surrounded by his new friends and allies - it seems poetic that the third beat of the image arrives, perhaps marking the culmination of Batman's TRUE purpose in the DC Universe. There's no question that the version of Superman crafted by Joss Whedon is more of a throwback than Snyder's, at least in an immediately-apparent sense. The mention of his love for truth and justice leaves only "the American Way" out of his classic catchphrase, but his interactions with the other Justice Leaguers are just as nostalgic. Particularly when he and The Flash end up rushing to help get innocent civilians out of harm's way. Having shown himself to be fast enough to battle Flash earlier in the movie, Superman once again keeps up as Barry Allen runs to save a family in a stalled truck. Superman bests him by saving an apartment building, but it isn't the winner of the duel that is sure to delight fans. Since the question of "who is faster, Flash or Superman" has been posed for decades, both heroes have ended up racing eachother a number of times in the comics. Usually for charity, and occasionally because one or the other has turned hostile, it typically ends in a draw. Typically, there aren't apartment buildings of people in need with which Superman can claim such a decisive one-up. DC Films has taken strides to win fans and their nostalgia back to their side in recent years, working the comic book versions of the Justice League into a new DC Films logo, including a massive collection of dozens of other DC iconcs who may or may not be bound for adaptation. But when the first trailers for Justice League began to arrive, it was a different incarnation of DC's animated heroes that fans remembered. The shot in question is the assembly of Batman, Wonder Woman, Aquaman, Flash, and Cyborg standing heroically against a skyline turned red-orange. Like a painting come to life, it's the kind of visual fans have come to expect from Snyder. But it's also the color and layout used for Justice League Unlimited's intro, among other animated offerings. Where Batman v Superman ended with Bruce Wayne committing to seeking out and recruiting the metahumans of the world, the end of Justice League sees that alliance formalized. Not as a one-time thing, either. As part of the closing montage of character scenes, Bruce Wayne finally re-enters the Wayne Manor seen abandoned in Dawn of Justice. He isn't intending to live there, mind you: he's building a headquarters for the team. One which will include a large, round table, with six chairs - and room for more to come. That's a reference to the Hall of Justice, for causal fans who may not be familiar with the versions seen in Super Friends or the modern DCAU Justice League shows. The round table is a trademark of the headquarters, and depending on which version of the team the DCEU will follow, they may need a LOT more chairs in the near future. The tease of turning Wayne Manor into the Hall of Justice may be pure fan service, but it's not the only dose given. Cyborg establishes early on in Justice League that he's only in control of his technology to a degree. By relying on the Apokoliptian Mother Box technology to save him, Dr. Silas Stone has turned his son into an experiment. One which sees Victor in a state of constant evolution, as he puts it, learning new abilities each day. He eventually masters his powers enough to help the League save the day, but his final scene gives fans even more reason for optimism. It turns out that Victor hasn't just mastered his Apokoliptian, Parademon-esque body, but the more cosmetic features as well. The highly faceted, fragmented, fractal look of Cyborg's body may turn some off - in which case, that final scene is a dream come true. As his father looks on, Victor transforms his body into a smooth, metallic shell over top of the inner workings. Almost a carbon copy of his best known comic book look, presumably here to stay in the DCEU's future. The movie may come in at just under two hours, but it also comes in with two post-credits scenes, as well. The first of which actually arrives mid-credits, before the full credits roll. Apparently only teased by the match-up of Speed Force and Kryptonian genetics, Barry Allen and Kal-El return to put their velocity to the test. Choosing an isolated country road as their starting line, the pair decide to put some stakes to their race. Should Barry lose, he'll have to treat the team to brunch (his own personal Hell). But if he wins, he gets to tell everybody. The duo decide to make the Pacific Ocean their finish line, and set off at breakneck speed. Every fan or casual audience member will have their favorite in this race, but in keeping with the spirit of the comic book source material, the final freeze frame sees Barry and Clark neck and neck. Obviously enjoying just having someone to compete with more than a possible victory, fans are left to guess at the results. The race between Superman and The Flash covers the romantics and nostalgics, but it's Justice League's final scene you'll want to wait for. At first, the shot of a speedboat approaching a glamorous yacht seems a bit at odds with the heroic team-up that preceded it. Until the passenger is revealed in full armor, two swords slung across their back, straps flapping from their helmeted head. This is the debut of Deathstroke that Ben Affleck teased while Justice League was still being filmed - but he's not alone. It's Lex Luthor who has summoned him, in a brief cameo from actor Jesse Eisenberg. Urging him to remove his helmet, fans get their first look at actor Joe Manganiello's version of Slade Wilson, sporting the iconic eyepatch, white hair, and goatee in a perfect incarnation of DC's deadliest assassin, Deathstroke the Terminator. His reveal would be enough to make the wait worth it, but it's Lex's suggestion that the villains of the DCEU form a team of their own that sets the stage for the future. The Legion of Doom? The Injustice Society? Secret Society of Super Villains? At this point, absolutely anything is possible. The summer used to be the go-to season for superhero blockbusters, but the comic book movie genre has spread to the entire calendar - and Justice League isn't the first DC film to launch close to the holidays. But with the movie's official release date of November 17th, 1992, it's an even more important decision than most fans will ever know. 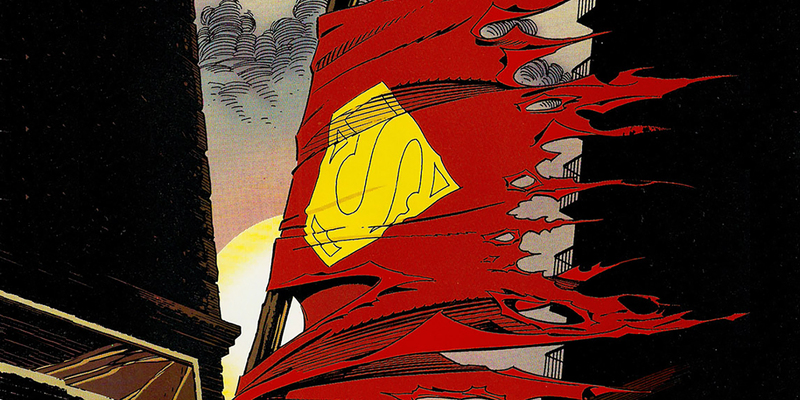 For starters, the movie will focus on the death of Superman and his heroic return... on the 25th anniversary of DC's "The Death of Superman" comic. The 1992 comic book got a tribute of its own in 2001 when the much-beloved animated TV series Justice League debuted on, you guessed it, November 17th. Which means the League's first movie team-up has a direct connection to their animated predecessors. Those are all the Justice League Easter Eggs, subtle secrets, cameos, and comic book references we could spot on our viewing, but there are sure to be more revealed by the day. If you spot any that should be added to our list, be sure to let us know in the comments!